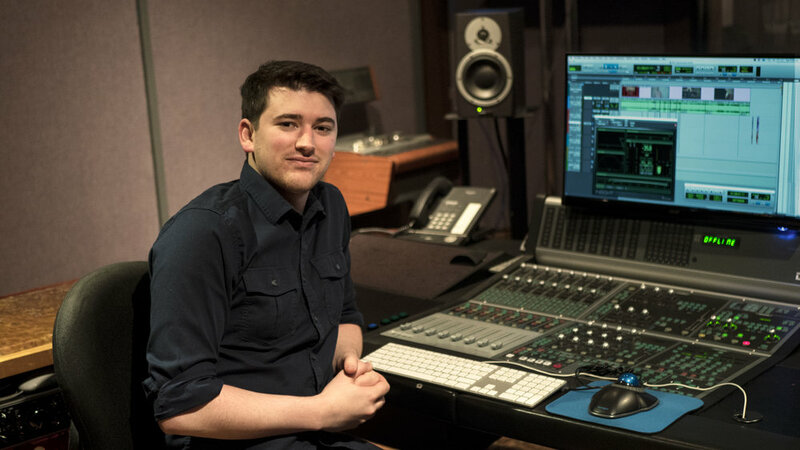 A graduate of the University of Southern California with degrees in Business Administration and Music Industry, Colin was also a member of the first music production program at TRAC. He has been acting as the school Registrar since shortly after finishing the program in late 2012, and works closely with the rest of the administrative staff in shaping and managing the TRAC program. In addition to these duties, Colin functions as one of the primary Post-Production engineers at Studio West, having worked with such clients as Adam West, Alan Arkin, Richard Dreyfuss, and Faran Tahir, and companies including NBC Universal, CBS Sports, ESPN, Nick Jr, SyFY, Cinemax, Sony, and 2K Sports. Since mid-2013, Colin has also been providing setup, support, and direction for the nationally syndicated NPR radio show A Way With Words, recorded weekly in Studio C.